How can I focus “singing through my nose/lips” without cutting off air? First off, thanks for reading and I’m glad you’ve benefited from my blog posts. It’s always good to know that they’re really helping others out there. Hmm, ways to help you send the sound more into your nose and lips without cutting off air flow. Well, the only way I can expect that the air flow is being cut off is either by the larynx rising when you’re using the nasal resonance, or the cords closing when using the lips. If I understand what you’re asking, here is a solution for each of these. Well, if you’re looking to get the sensation of more of that pingy, nasal like resonance, you can sing some scales on an “ng.” While doing this, make sure your tongue stays relaxed, your larynx stays stable, and you’re throwing your sound into that super nasal part of your voice. This can be a great exercise for finding that super pingy resonance. When it comes to the lips, you can simply sing a scale on really any vowel, just put a “B” in front of it. The focus here should be to allow the air pressure to build up behind that “b” instead of in the throat. Regardless as to whether your looking to make the sound in the nasal resonance cavity or you’re looking to regulate the air pressure with the lips, it’s important to note that you still want to keep the larynx relaxed as well as a consistent flow of air. 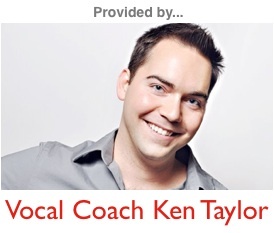 This will help you maintain proper vocal balance. Any who, I hope this helps. And once again, I’m glad to hear that these articles have been helping you. Keep up the good work and keep me posted on your progress!